PurrForm Complete Supplement can be used with raw muscle meat including heart and Gizzard to provide a complete diet. 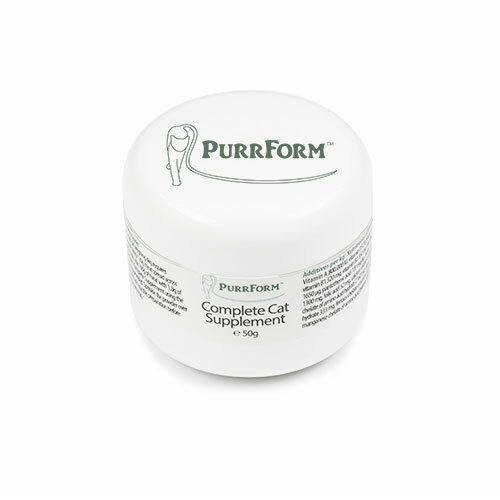 As PurrForm Complete Supplement contains all the vitamins, Minerals and Amino acids, you don’t need to add any liver or bones. We have used the Chelated (organic) Minerals as these are nutritionally superior to the inorganic forms and therefore more bioavailable ie. better absorbed by the body to ensure optimum benefit. The amount of sodium, is due to the fact that, sodium is a nutrient required by cats and is important for maintaining water and electrolyte balance. The sodium included in the supplement is coming predominantly from Salt (Sodium chloride). 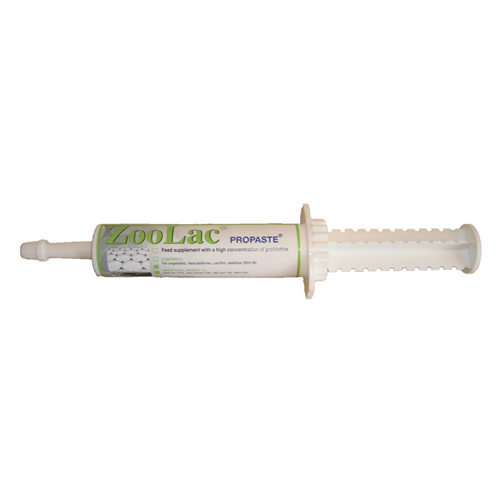 This product is a supplement designed to be fed in small amounts per day, so the level of sodium and total salt intake provided by the supplement (as for all other nutrients provided) is calculated to help balance the likely deficiencies experienced when feeding raw meat only. An adult cat weighing 4kg requires approximately 120g of meat per day, spread over 2 meals. Mix 100g of meat with 1.0g of PurrForm Complete Supplement using the 1g scoop provided. Sprinkle the powder over the meat and mix the preparation before giving to your cat. Cats are obligate carnivores and require a high protein diet. Their natural diet consists of prey, such as, birds, insects, mice and other small mammals, which provide them with protein, fat, amino acids, vitamins, minerals and trace elements. A raw food diet is the closest thing to this natural diet, to ensure your cat gets all the required nutrients on a daily basis. Not all the nutrients cats need to live on, are found in muscle meat alone. Cats also need the bone and offal. Therefore, feeding solely raw meat requires supplementation of vital minerals and vitamins to prevent dietary deficiencies; PurrForm Complete Supplement is a balanced dietary supplement and turns pure meat into an all-round balanced meal. Your cat can eat muscle meat, as well as breast, leg, fillet, cuts with skin, heart and gizzards. Suitable types of meat for your cat include : chicken, turkey, duck, lamb, beef, veal, rabbit, venison, pheasant and more. Use different cuts, different types of meat. As cats require a small amount of fat in their diet, do not always use just lean meat. Use cuts that contain some fat or skin. As PurrForm Complete Supplement contains calcium, phosphorous and vitamin A, you should not feed your cat bones, liver or kidney. Do not cook any meat with added Purrform complete Supplement, or add it to hot food. You can freeze meat with added Purrform complete Supplement, but keep frozen storage time to as short as possible to avoid loss of vitamins. This is classified as a food supplement due to its higher content of vitamins A, D3 and trace elements than complete foods. Purrform Complete Supplement is designed for the exclusive use in pure meat preparations and must not be mixed with complete foods (e.g. canned cat food). Do not be tempted to use cheaper or inferior supplements as the quality will not be the same. They will not use chelated minerals and therefore the mix may not be as effective, as it would be less bioavailable, ie. Not as readily absorbed into the gut.